Barcelona can be hot, hectic, and manic. This guide details the best places in the city to take a breather, away from the streets and buildings. 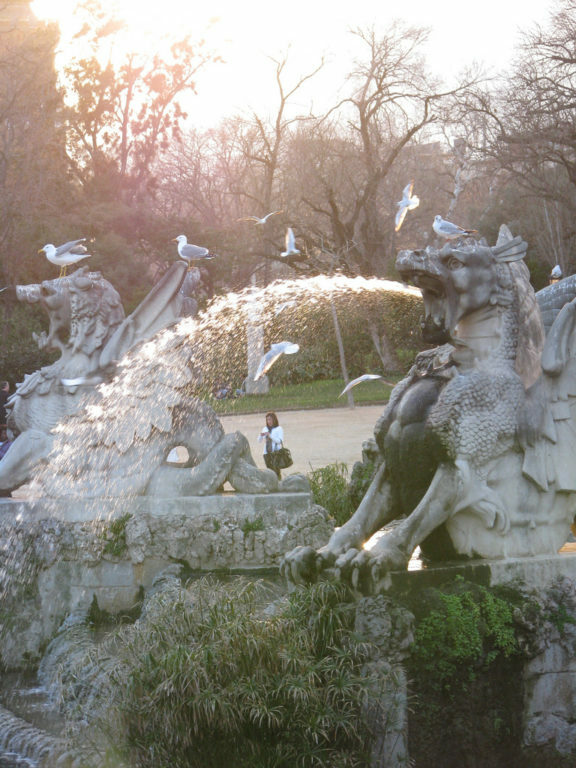 Unlike many European cities, Barcelona’s green spaces are rarely bland or formal – the parks are home to some of the most curious and beautiful sights in the city. Easily the most famous of Barcelona’s parks, Antoni Gaudi’s Parc Guell is home to many of the most iconic images of Barcelona and Catalonia. The distinctive mosaics, which cover benches overlooking the entire city, and the emblematic lizard statues (copies of which are available in any cheesy tourist shop) attract hordes of amateur travelling photographers armed with selfie sticks and go-pros. The bizarre statues, walkways and arches showcase one of the most creative minds in Spanish history, whose work has shaped the modern visual identity of Barcelona more than anyone else. 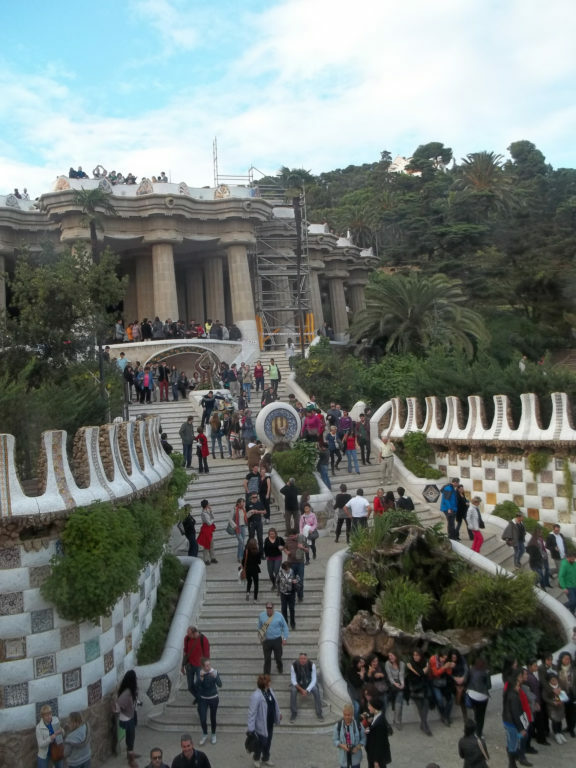 Although Parc Guell is definitely a ‘must visit’ spot with breathtaking views over the city, it will be very busy in peak seasons. Though somewhat distant from most of the city’s attractions and busy areas at the feet of the Collserolla Mountains, Parc Del Laberint is a quieter and calmer gem. 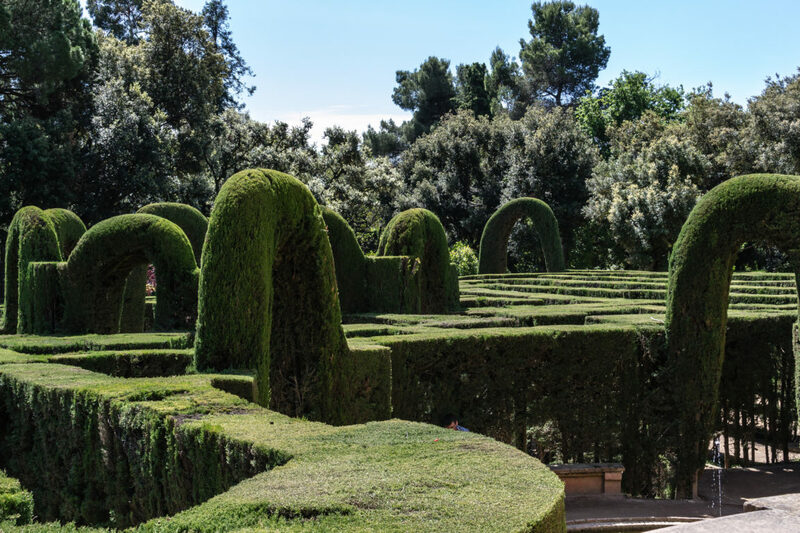 The ‘labyrinth,’ an elegant hedge maze, is the most notable feature of the gardens and this gives the park its name. The first park of its kind in the city, it was first artistically landscaped within its woodland setting centuries ago, making it one of the most authentically picturesque and romantic spots in the city. Parc de la Cuitadella is a beautiful, leafy paradise near to the Arc De Triomf and the historical El Born district of the city. Palm trees surround a boating lake, and a huge waterfall is adorned with Romanesque statues and fountains. There is even a woolly mammoth. Barcelona Zoo comprises the lower half of the park, and the Eastern side of the park is overlooked by the Parliamentary building of Catalonia. In the summer it is full of performers, bubble-blowers, and the occasional shady character selling ‘mojitos’ in plastic cups from a tray. Cuitadella has more life and character than any other park in Barcelona. As you enter the Jardi Botanic, walking over a wooden walkway across still water, you feel like you’ve found something special. Over 1,500 plant species thrive in these gardens, selected from places all over the world which have a similar climate to the Mediterranean. Opened in 1999, this is a relatively new addition to Barcelona’s green catalogue. Its spot on the edge of Montjuic – an iconic hill overlooking the city of Barcelona – makes it an excellent vantage point from which to view the city. As well as serving as a public space, the Jardi Botanic has a conservationist mission, and is home to the Institute of Botany. Open, modern and bright, the Parc de Joan Miro is next to the grandiose Placa Espanya. The park is surrounded by modern glass towers, and features artificial waterways and abstract statues – giving the area a far more contemporary ambience than most of Barcelona’s more historical green spaces. 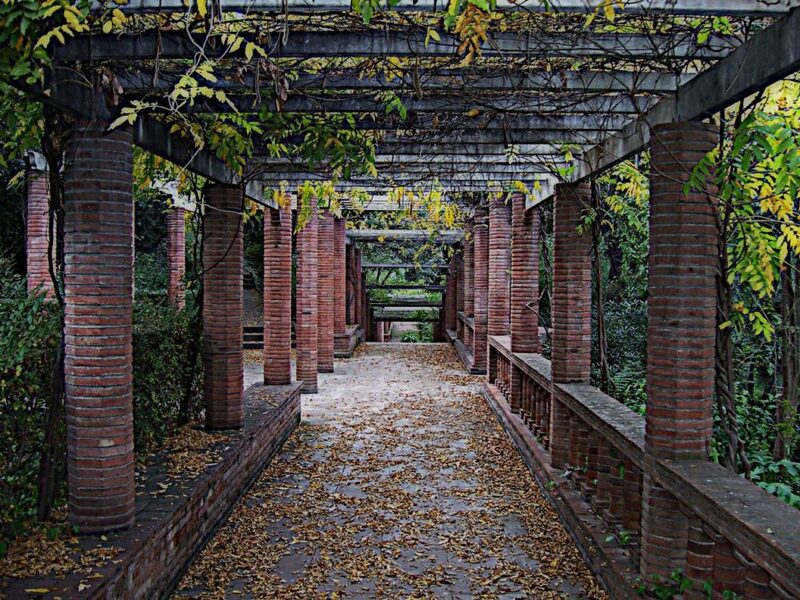 Located on one of the steeper areas of the beautiful Montjuic, the Jardins de Laribal is next to the Joan Miro Foundation. Despite this location near one of the cities’ premier tourist destinations, these gardens are often less busy because they are so easy to miss – tucked away into the hill – and are not often part of the standard list of tourist destinations. Waterfalls run down through the park, adorned with mosaics, tiny hedgerows and sculptures aplenty. There are canopy-covered walkways, leafy tunnels which provide much-needed shade on blisteringly hot summer days. The Rose Gardens of the Parc de Cervantes i Roserar contain over ten thousand roses, with hundreds of different species. Every May a rose competition is held, where people from across the world showcase new roses. Even if you aren’t a rose enthusiast these parks are very nice to visit. They are situated near the Zona Universitària metro station at the uppermost end of the Diagonal, making this a popular spot for sun-soaking students. These gardens feel insulated from Barcelona’s urban sprawl.